Super cheap flights from Tallin to Johannesburg, South Africa €252! Super cheap flights from Tallin to Singapore from €247! Another great deal from Estonia with Turkish Airlines today this time super cheap flights from Tallin to Johannesburg. Round trip tickets incl. all taxes and checked-in bag are available from €252. Again it seems that you can book cheap flights Tallin-Johannesburg when traveling on Tuesday. Hurry up such a low priced deals will surely not last long..Do not miss this deal if you need to travel to Republic of South Africa also during local summer as this is one of these are one of the cheapest flights from Europe to Johannesburg. Moreover Turkish Airlines has been awarded as “Best European carrier” by Skytrax from 2011 to 2016. Limited availability from October 2018 to March 2019. Below you will find our booking and travel date samples. 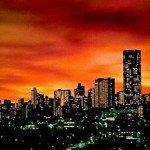 Book your hotel in Johannesburg through leading sites such as Booking.com or Hotels.com. You can compare best fares for car rental in this destination via Rentalcars.com. Booking sample of super cheap flights from Tallin to Johannesburg, South Africa €252! You would depart from Talling to Singapore on 29th of January. Inbound flight from South East Asia back to Europe on 12th of February 2019.